Transportation in air-conditioned coach with a driver (If you have your own transportation and wish to purchase ticket only without our transfer, please contact us directly). 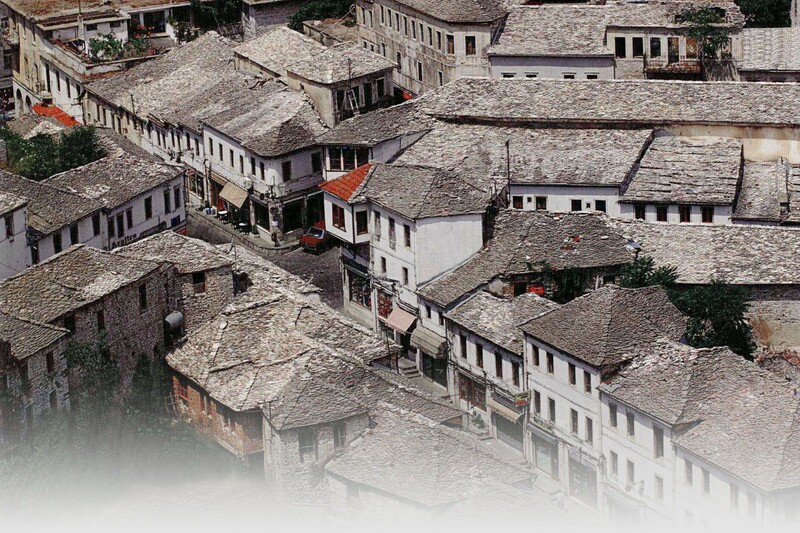 For the more adventurous who enjoy a different experience, this is a one day tour to the fascinating country of Albania. 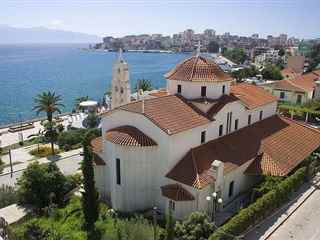 After our departure from the port of Corfu we sail along the Albanian coastline to the port of Saint Saranda. 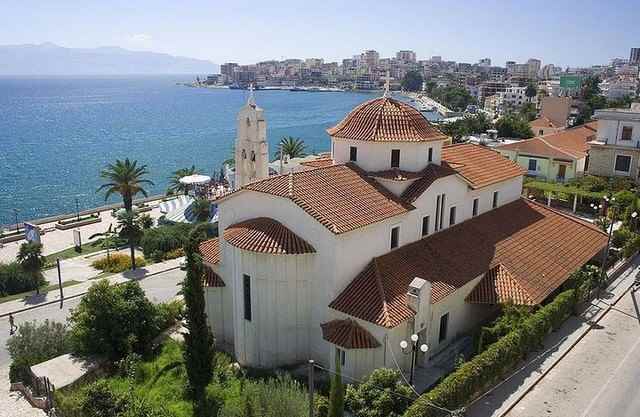 Once through passport control, the local guide will introduce you to the ancient city of Saint Saranda and it's fascinating history that dates back to 520AD. 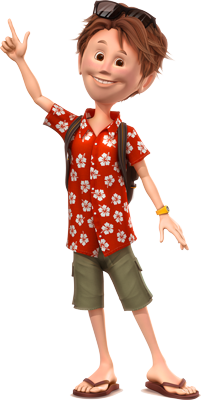 Afterwards there will be plenty of free time to sightsee, shop, dine and swim at the town’s long sandy beach. 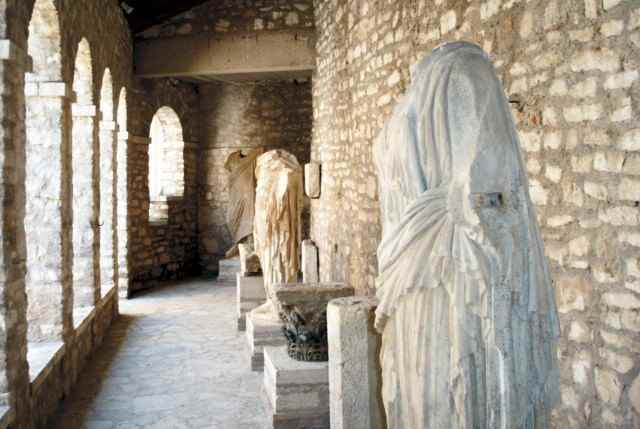 An additional guided tour is available for those who want to visit the famous archaeological site of Butrint. 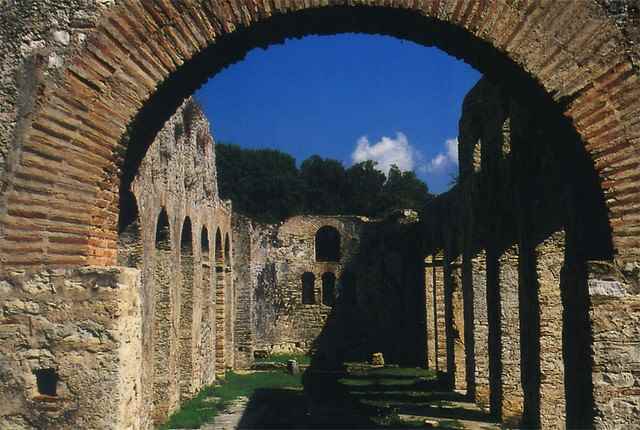 A 20 km drive by coach through picturesque villages, along the interesting south coast of Albania, is Butrint. 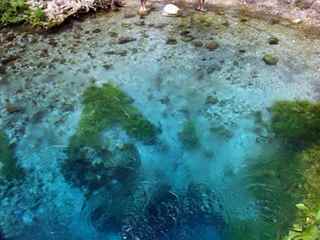 Designated by UNESCO as a World Heritage site in 1997, the area is surrounded by a lagoon and is one of the most interesting archaeological sites in the region. 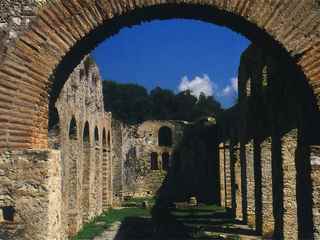 Butrint is one of the best examples of a working Mediterranean town that had been covered by centuries of silt and dust. 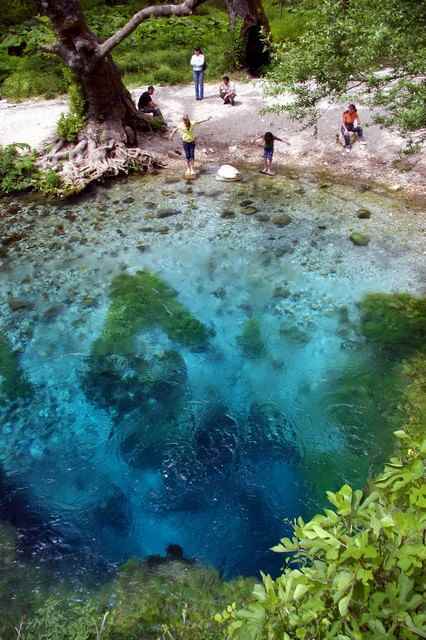 The ancient city of Vouthrota is located at the edge of the lagoon. 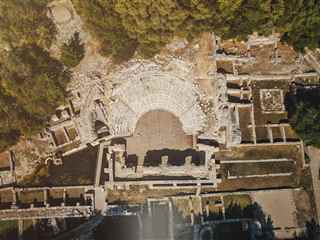 The site consists of well preserved archaeological monuments and an ancient theatre. Dating from the 3rd century the temple, with its enormous stone walls and stunning mosaic floor are impressive, there are Roman baths and an ancient gymnasium to view as well. The castle of Ali Passa, a construction from the days of the Ottoman Empire, is on the topmost level of Vouthrota City. From the castle’s highest terrace, there is panoramic view of the ancient city, the lagoon and the vast plains beyond. Upon returning to Saint Saranda, a buffet lunch will be served, this is included in the price of the Butrint tour. After lunch there will be enough time to stroll around the town, do some souvenir shopping or have a quick dip in the sea. 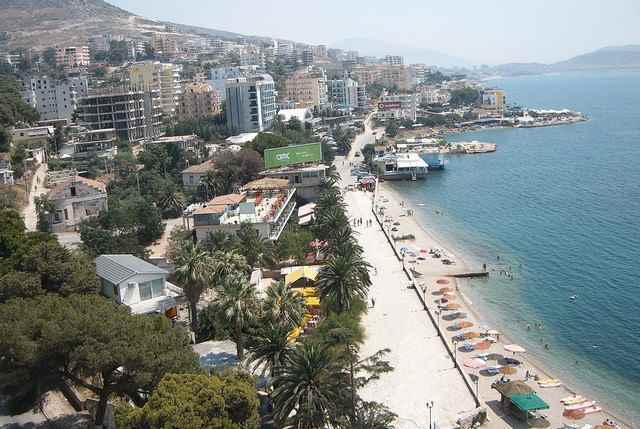 We recommend that whilst on the ferry to Albania, you purchase this optional tour. The tour starting time depends on the resort you are staying in. Please choose your pick up point in the reservation process in order to receive an exact pick-up time. The ferry to Albania departs from Corfu Town’s port at 09.00 and returns at 19.00. Return transfers from the port back to your resort start from 19.30 or as per instructions received at the time. IMPORTANT NOTE: In order for this tour to be reserved, you will be asked to provide us with complete ID (for EU citizens) or PASSPORT information for each passenger and to pay 10 euro per person port taxes. This is imperative for Albanian visa issuing process. Do not forget your passport or identity card. Please wear comfortable summer clothes and shoes (sandals or flip flops are ok). Bring your swimming costume, towel, sunglasses and hat. We also recommend that you wear a sunscreen. Camera and video camera can be used at all times. 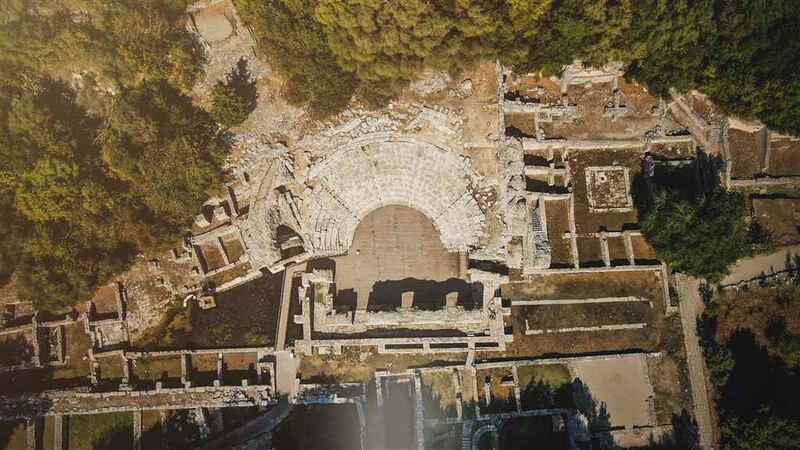 In Butrint archaeological site you must purchase a special video pass. Toilets and a refreshment bar are available on board. You can bring a bottle of water and a snack. No restrictions. If you have any disability or other special requests, please state it in your reservation form or call us at: 0030 6945 265 048. 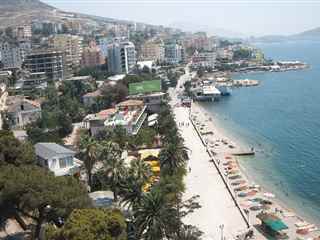 The tour to Saint Saranda city is rated as "easy and relaxing". 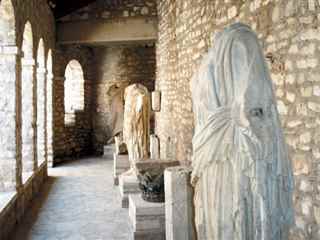 The tour to Butrint site is rated as ‘moderate’.